Logic Supply will earn up to $757,000 if it meets the conditions of creating 83 net new jobs by the end of 2020 and continues to invest in its growing Vermont campus. October 30, 2017 (SOUTH BURLINGTON, VT) - Logic Supply (www.logicsupply.com), a South Burlington-based computer hardware company, has received a Vermont Employment Growth Incentive Award by the Vermont Economic Progress Council and approval for a Vermont Training Program grant to support its expansion of facilities and new jobs in Vermont. Logic Supply was founded in 2003 by Roland and Lisa Groeneveld to serve an expanding market for small-form-factor, rugged computers. The business has grown steadily over the years. Logic Supply computers are typically used in specialized, single-purpose systems. They power kiosks and digital signs, control pieces of machinery and medical equipment, and are used throughout the evolving Industrial Internet of Things. Logic Supply clients include BioTek, Pwnie Express, NASA, Intel, GE, General Dynamics Mission Systems, Comcast/NBC Universal and many others. In 2010, Logic Supply opened a dedicated office in Taipei, Taiwan. In 2011, Logic Supply began operations in Europe, based in the Netherlands. The company now employs more than 100 people in its Vermont, USA headquarters. Logic Supply is developing a new manufacturing & warehousing facility to expand its existing South Burlington campus. The Vermont Employment Growth Incentive (VEGI) is an economic development program designed to support Vermont business growth and expansion. VEGI provides goal-based incentives based on the return generated to the State by businesses that have been authorized to earn the incentive and meet performance requirements. Similarly, the Vermont Training Program provides performance based workforce grants for pre-employment training as well as training for new hires and incumbent workers. VTP grants fund up to 50% of the cost of approved training, with the remaining costs borne by the employer. With its headquarters in Vermont and operations in Europe and the Netherlands, Logic Supply had to decide where to invest and grow in order to best support its increasingly global customer base. On October 26, 2017 the Vermont Economic Progress Council (VEPC) voted to approve Logic Supply’s Final Application for the 2017 VEGI for their planned expansion project. Conditioned on creating 83 net new jobs by the end of 2020 and the completion of an $8.5 million capital construction project for a brand new Manufacturing & Warehousing facility, up to $757,000 will be earned by Logic Supply over five years, provided annual performance requirements are met. Logic Supply plans for the permitting and construction process to begin in the fall of 2018 and will immediately begin recruiting for new roles with the company. 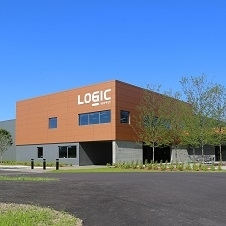 The Vermont Training Program grant will likewise assist Logic Supply in funding training and development initiatives critical to this next phase of growth, new product development initiatives and the increase in headcount. The VTP grant will provide approximately $238,000 in matching funds based on completed training activities. About Logic Supply: A leading Industrial PC company, Logic Supply designs highly-configurable computers engineered for reliability. Their systems operate in the harshest environments and power innovation in the evolving Internet of Things. Fueled by a unique direct-to-customer business model that combines vertical integration, modular product design and a powerful online platform, Logic Supply offers computers “designed to last, built to order, and delivered in days.” Founded in 2003, the company has served over 60,000 customers. Logic Supply has offices in North America, Europe, and Taiwan.See why today’s technology companies Depend on Logic at www.logicsupply.com and on Twitter @LogicSupply.